Microchipping is something that all Hollywood pet owners should consider for their dogs and cats. 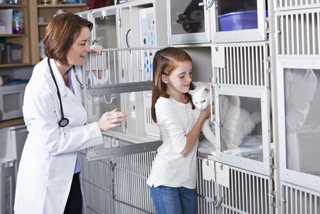 If your pet becomes lost or injured away from home, a pet microchip can be the key to reuniting pet and owner. 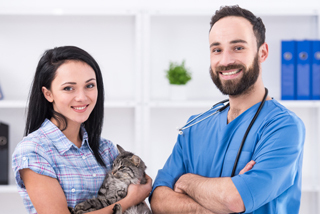 In the Hollywood area, nearby DPC Veterinary Hospital in Davie offers a microchip program packed with important benefits at a very affordable price. Microchipping pets has been in place for a couple of decades and almost every animal control center, recue shelter and veterinarian has one or more scanners capable of reading the chips. The chip itself contains a unique identification number that is registered to the pet and the pet's owner. This information can be accessed online allowing the scanner to arrange for a happy reunion. Without a microchip your lost or injured pet is just another homeless dog or cat. With a microchip, your pet's name and your contact information is instantly available. Which would you prefer your pet have? 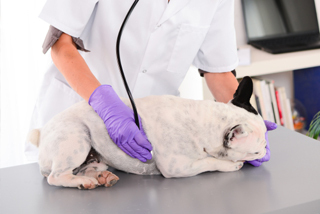 Microchipping is a simple, quick process accomplished with a syringe much like those used for your pet's shots. The chip is imbedded between the shoulders and thanks to the advanced chip design used by DPC it will not migrate to the pet's side like some chips will. The ability to create personalized lost pet posters that can be electronically sent to vet offices, animal control and rescue shelters as well as be printed. 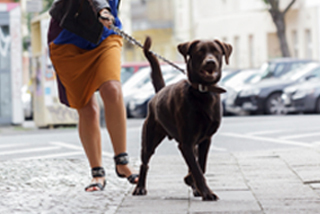 At DPC we imbed pet microchips seven days a week on a walk in or appointment basis. Our front desk staff will assist you in setting up the registration and train you on how to make changes to it should you move or change your phone number. It's a simple process. It's inexpensive. It's something you need to do for your pet today!